The use of outriggers in tall buildings is a common practice to reduce response under dynamic loading. Viscous dampers have been implemented between the outrigger and the perimeter columns, to reduce vibrations without increasing the stiffness of the structure. This damped outrigger concept has been implemented for reducing vibrations produced by strong winds. However, its behaviour under strong earthquakes has been not yet properly investigated. Strong earthquakes introduce larger amount of energy into the building’s structure, compared to moderate earthquakes or strong winds. 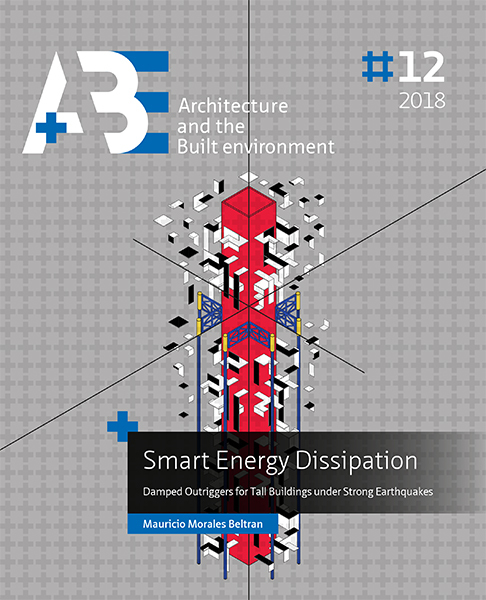 In tall buildings, such seismic energy is dissipated by several mechanisms including bending deformation of the core, friction between structural and nonstructural components, and eventually, damage. This research focuses on the capability of tall buildings equipped with damped outriggers to undergo large deformations without damage. In other words, when the ground motion increases due to strong earthquakes, the dampers can be assumed to be the main source of energy dissipation whilst the host structure displays an elastic behaviour. These investigations are based on the assessment of both the energy demands due to large-earthquake induced motion and the energy capacity of the system, i.e. the energy capacity of the main components, namely core, outriggers, perimeter columns and dampers. The objective of this research is to determine if the energy dissipated by hysteresis can be fully replaced by energy dissipated through the action of passive dampers. This research is based on finite element (FE) models developed in Diana-FEA software. These analytical models consider the use of nonlinear settings throughout almost the whole FE model. The numerical investigations on passive damped outriggers are based on master Matlab scripts, which run combined parametric analysis within Diana.